Gotham Bar and Grill – Pow and Ka-boom! 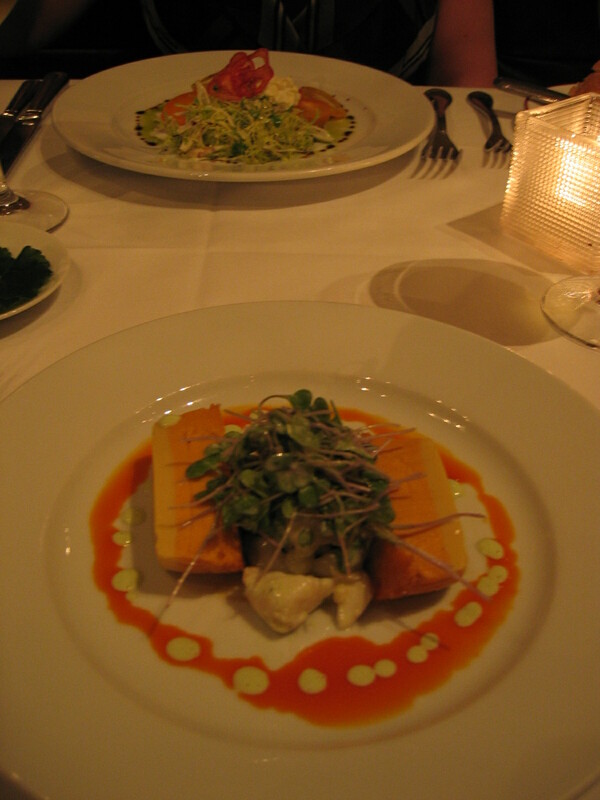 The Gotham Bar and Grill is a class act, and one of New Yorks Michelin Star restaurants. It was recommended by a friend who has been making annual pilgrimages here from Scotland for well over 15 years now. We have not been there quite so often, but have managed to visit a few times for lunch. We found it to be a quiet refuge from the crowds, an excellent place to relax and enjoy good quality food and wine. On one visit they had a power cut, which the staff handled with ease, turning what could have been a disaster into a pleasant candle lit experience. 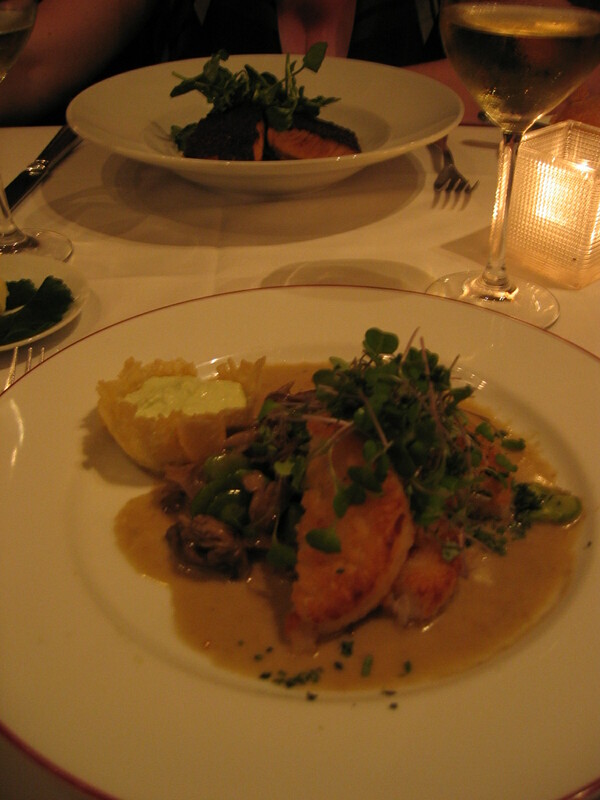 Update : October 2009 – The Gotham Bar and Grill successfully maintained its Michelin Star in this years awards. Author No ExpertPosted on April 18, 2009 March 12, 2011 Categories 1 Michelin star, 4 Diamond - AAA, New York, USATags Alfred Portale, Gotham Bar and GrillLeave a comment on Gotham Bar and Grill – Pow and Ka-boom! 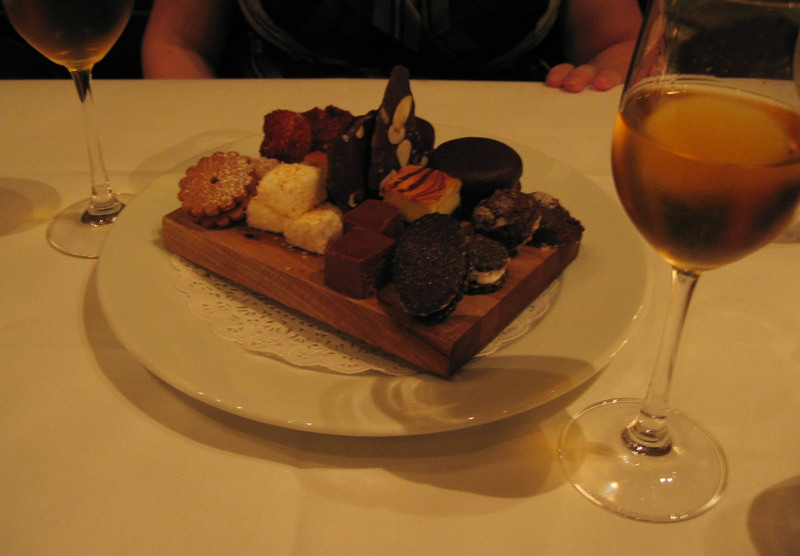 Eleven Madison Park – Sweet success! I enjoyed Eleven Madison Park, the place has style. To get a feel for it, I would recommend viewing the rather fun short, speed-ed up film showing the restaurant in action over a 7 hour period. On the food front I especially remember a sharing dessert platter. It was way too big for us to finish, which may have been the idea, as they were only too happy to box it up for us to take back to our Hotel. It was absolutely yummy, just thinking about it gives me a sugar rush!. UPDATE February 2010 – It seems like Eleven Madison Park is not loosing its touch, Andy Hayler gave it very high marks in his recent review. 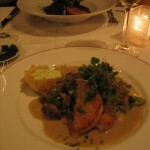 UPDATE : September 2011 – Danny Meyer may be selling Eleven Madison Park, see http://www.tinyurls.co.uk/1q1 for details. 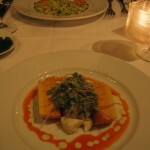 UPDATE : October 2011 – Eleven Madison Parks has been awarded 3 Michelin stars. It is also definitely being sold, for details see Eater artical. Author No ExpertPosted on April 17, 2009 October 5, 2011 Categories 3 Michelin stars, 4 Diamond - AAA, Expensive, New York, USATags Eleven Madison ParkLeave a comment on Eleven Madison Park – Sweet success! Craft – Short sighted? No, just don’t see the attraction! Tom Collichio’s Craft restaurant in New York is the epitome of style over substance. Not clever to make the menu font so small, to justify the gimmick of giving out reading glasses to the “short sighted”. My main problem with the meal was that you are meant to mix and match the elements that you order. Excuse me but surely that is part of the art in preparing a course and one that the chef should take care of. He or she should be the expert in matching the ingredients on the plate. That’s what I’m paying you for. Did not work for me, not surprised it lost its Michelin star. Service 0 (the man at the next table was choking and was ignored! – eventually with a lot of effort his wife managed to get him a glass of water). Ambience !! (not important if everything else is wrong). Author No ExpertPosted on April 13, 2009 February 4, 2019 Categories 4 Diamond - AAA, Avoid, Expensive, New York, USA, Worst of the worstTags Craft, Tom Collichio, Worst restaurantsLeave a comment on Craft – Short sighted? No, just don’t see the attraction!